My parents were teachers in a series of small towns in the Texas Panhandle. Everyone of those school cafeterias served most excellent yeast rolls! I always LOVED those rolls. I wonder if those stuffed dates aren’t just some more prunes sailing under a flag of convenience. 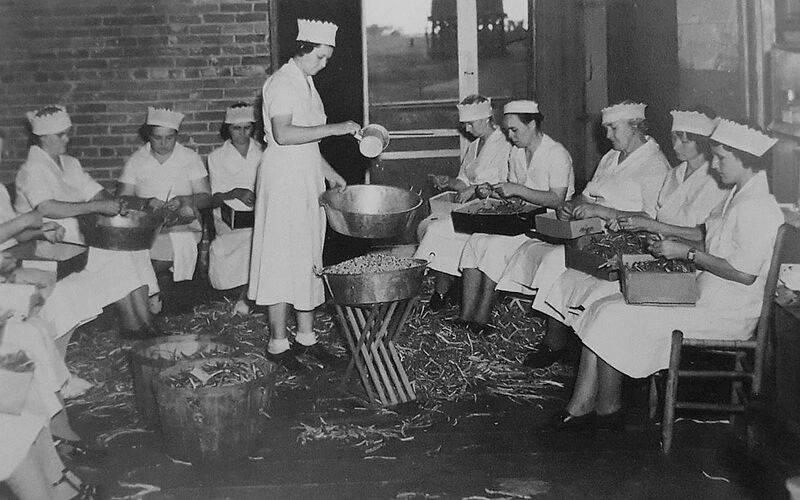 In the 1950s and 1960s when I attended DISD schools, fresh hot rolls were offered every day as a part of the daily lunch, and were available for separate purchase as well. Boy, were they good! Probably Dallas was the only place in the world where school kids regularly made ice cream sandwiches by placing a block of ice cream between two squashed dinner rolls. THAT was great. Hadn’t pea shelling machines been developed by the 1920s? I didn’t see “school burgers” on the menus. School burgers were the most reviled offering in the history of DISD lunches, I imagine.